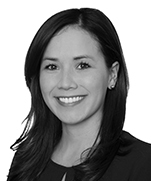 Ángela is an associate in the Firm’s Banking and Finance and Mergers and Acquisitions practice groups. Angela joined the Firm in 2014 and advises local and international financial institutions, private companies, and public entities on matters including financial regulation and financings. She offers major experience in financial regulatory consultations and finance. Ángela is a graduate of the School of Law of Universidad de la Sabana and has a specialization in Commercial Law and Financial Law from Universidad Sergio Arboleda. Ángela currently teaches courses in business law and introduction to law at Colegio de Estudios Superiores de Administración – CESA. Fiducor Fiduciaria S.A.: Acting as counsel in the sale process of its assets to Alianza Fiduciaria S.A. Approximate amount of the transaction: US$155 million. Credit Agricole Corporate and Investment Bank and Sumitomo Mitsui Bank: Acting as local counsel in a credit agreement to Boyaca Navigation Inc., and IWL River Inc., companies affiliated to Trafigura Behevver B.V to finance the construction and operation of vessels for commodities’ transportation. US$350 million. Bancolombia S.A., Banco de Bogotá S.A., Banco Davivienda S.A., Banco de Occidente S.A., Banco Popular S.A., Banco AV Villas., and Leasing Bancolombia S.A: Acting as local counsel in the credit facility granted to Almacenes Éxito S.A., to finance a corporate acquisition. COP$3,500 million.